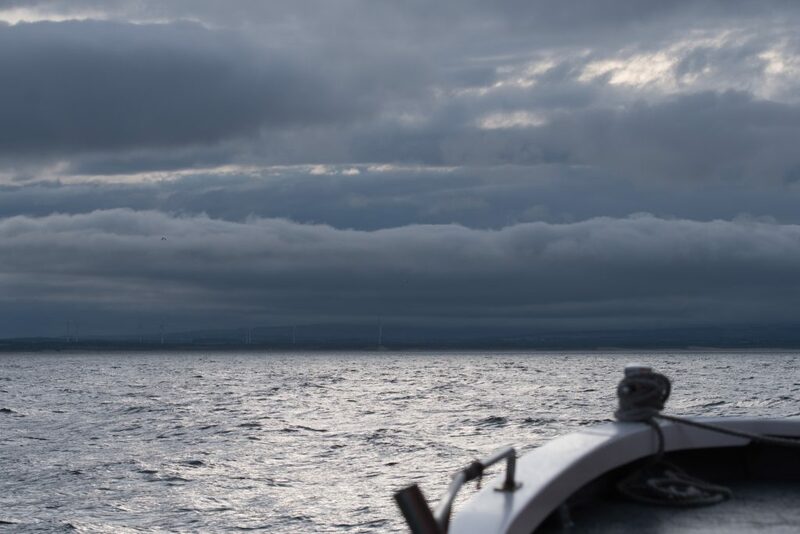 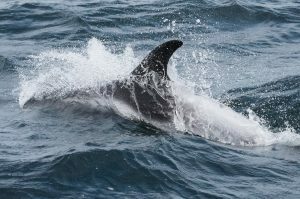 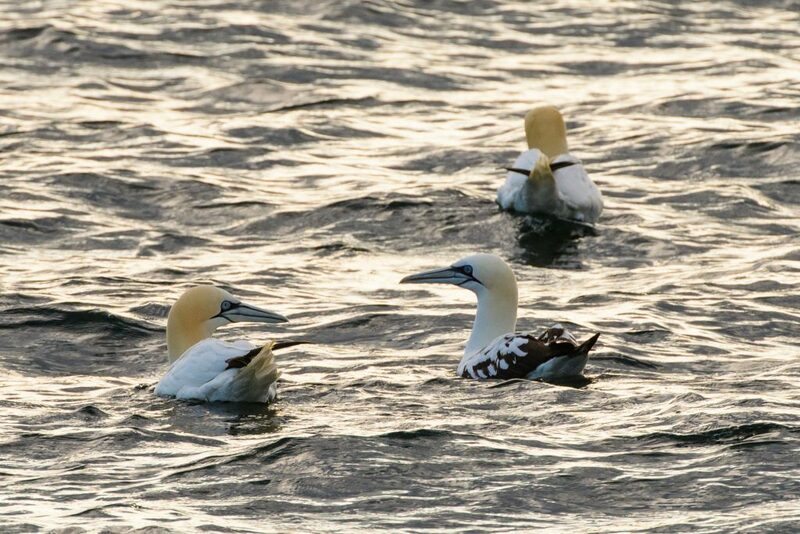 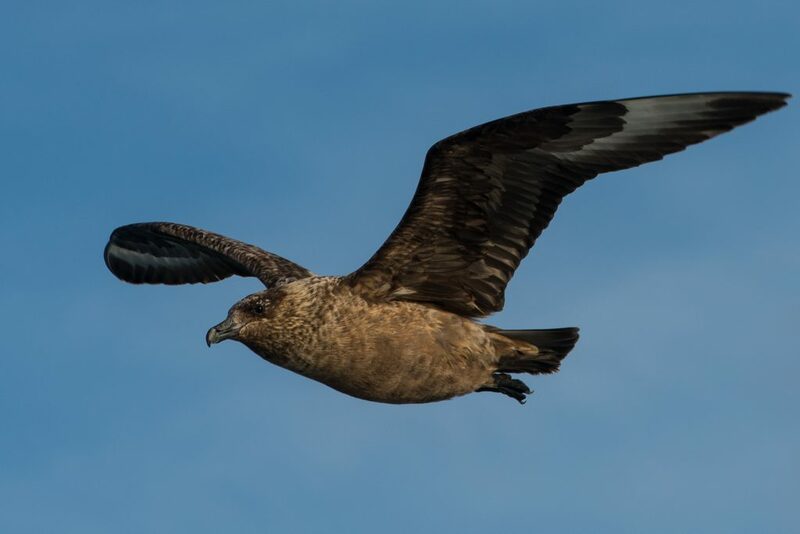 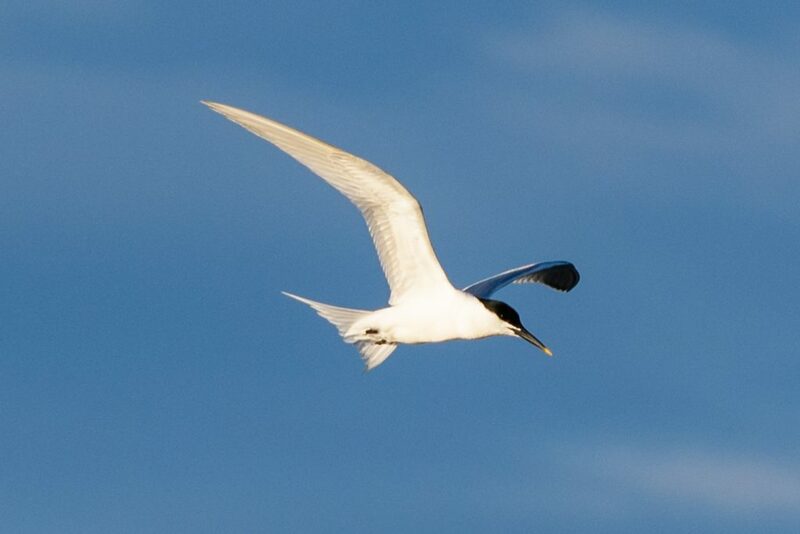 Our second 4hr evening pelagic last week sailed in calmer seas than on Wednesday and we headed north from the Tyne. 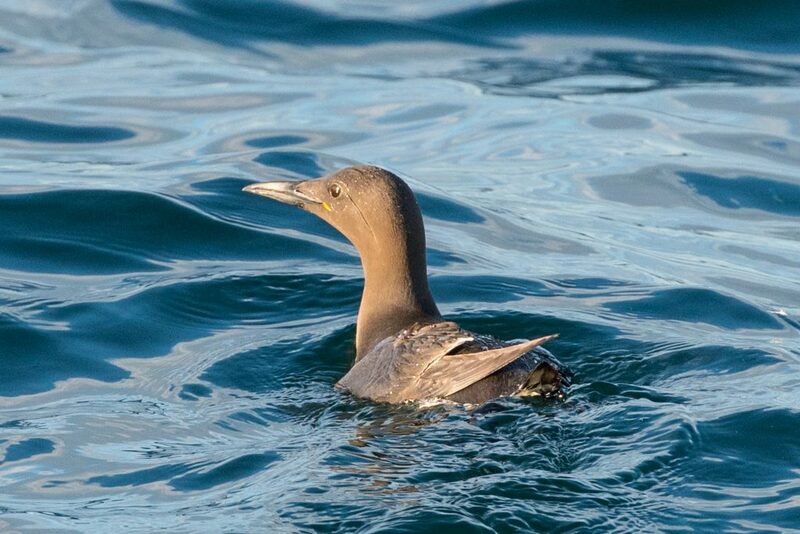 Searching for flocks of birds above bait balls of tiny fish we encountered Kittiwake, Guillemot, Razorbill, Fulmar and Gannet, including a flock that were plunge-diving just off Blyth. 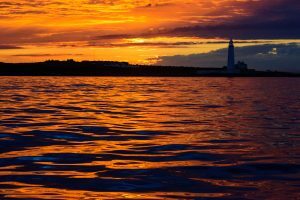 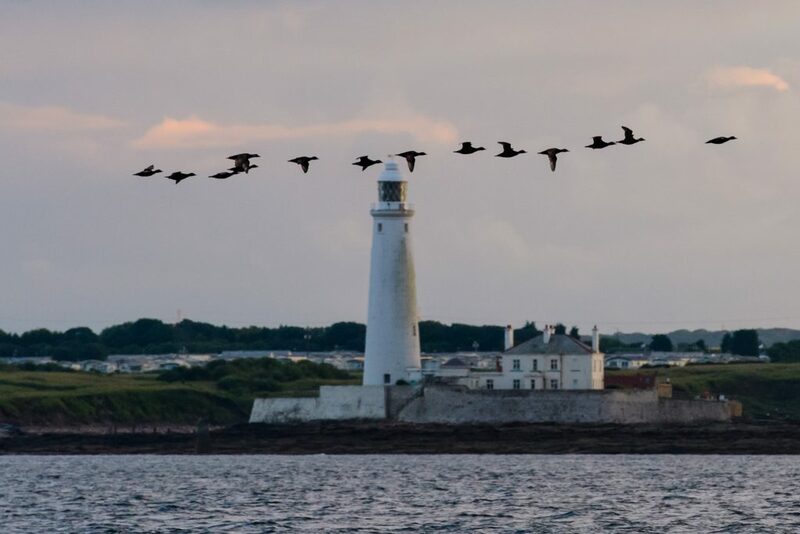 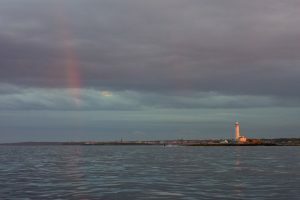 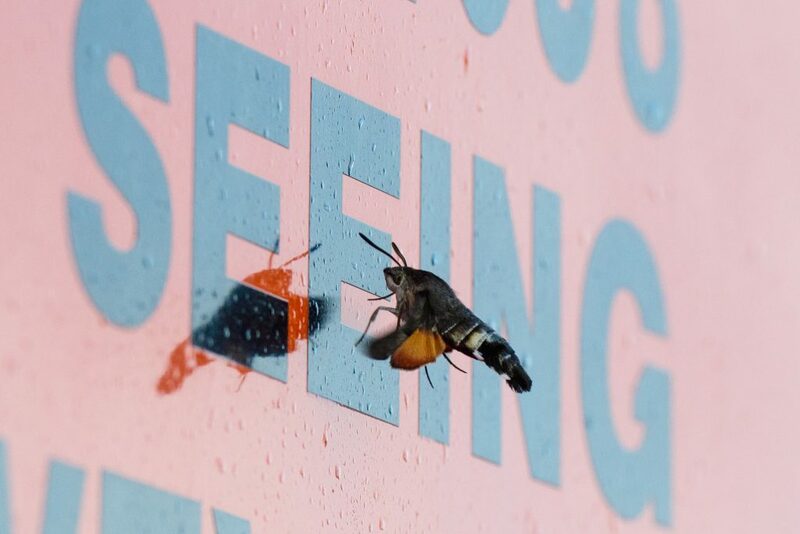 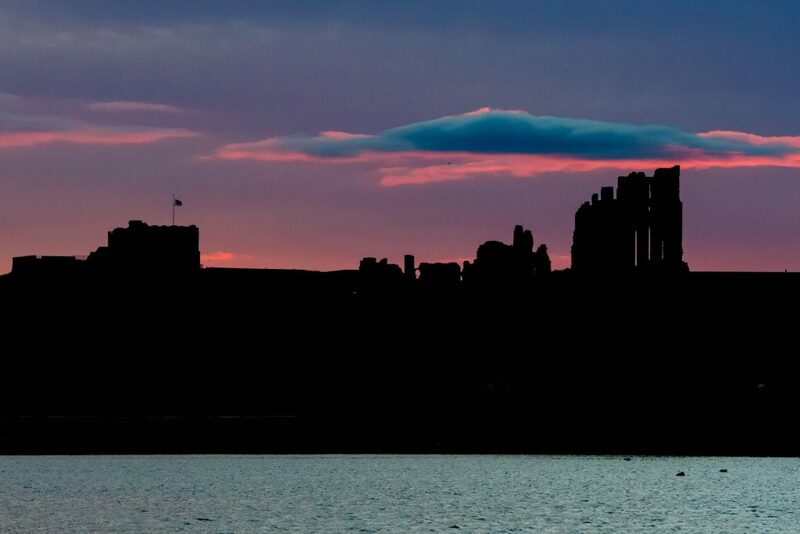 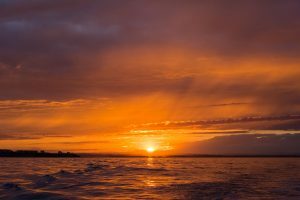 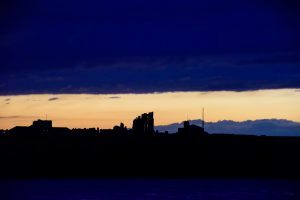 ‘Crazy unexpected wildlife’ award for the evening went to a Hummingbird Hawk-moth that joined us off Blyth and eventually went to roost in the speaker of the boat’s tannoy system 🙂 We finished the evening with a spectacular sunset as we passed St Mary’s Island and flocks of Common Scoter heading north. 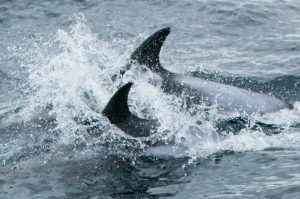 We started our 2017 pelagic season earlier than usual, with a private booking for Teri’s birthday. 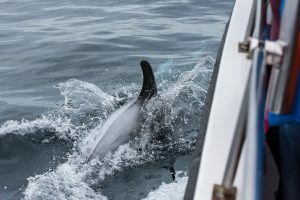 There were some familiar faces on board, including Paul…who was on the first ever NEWT Safari back in January 2008! 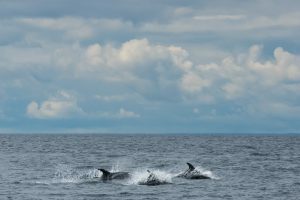 Following an invitation from DFDS, I arrived at the Royal Quays passenger terminal on Saturday morning for the ‘Whale Tales of the North Sea’ event, celebrating 10 years of DFDS and the charity ORCA working together. 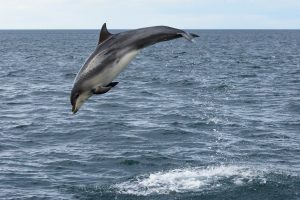 Following a packed lunch, Michaela Strachan presented a series of short clips of some of her experiences with whales and dolphins around the world, which kept all of the younger members of the audience entertained. With only ~90 different species, cetaceans are poorly represented compared to terrestrial mammals (~4200 species), birds (~10000 species) and insects (~1000000 species, with potentially another 5-29000000 million species still to be discovered!). 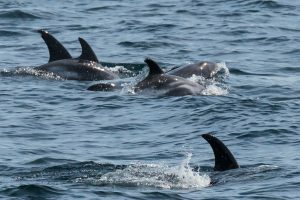 What they lack in numbers they make up for in sheer size, and some of the film clips demonstrated just how big they are. 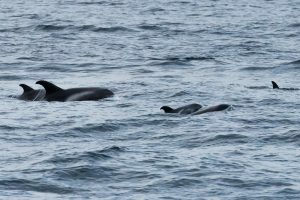 Anna Bunney from ORCA gave a presentation about the cetaceans of the North Sea and there we have an even smaller range of species. 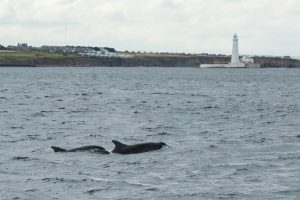 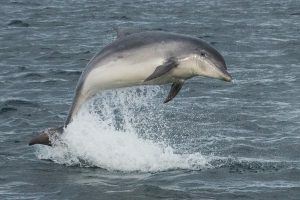 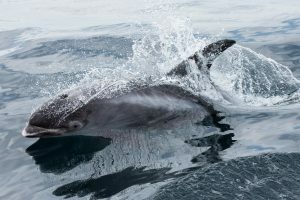 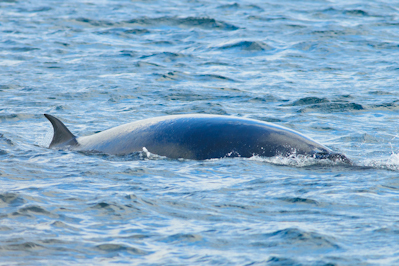 Harbour Porpoise, Bottlenose Dolphin, White-beaked Dolphin and Minke Whale are all relatively common, but there’s a range of rarer visitors to the waters of North East England; Risso’s Dolphin, White-sided Dolphin, Killer Whale, Sperm Whale, Pilot Whale and Humpback Whale have all appeared in recent years and historical records contain some real oddities. 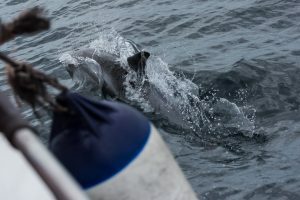 Educating people about the wealth of marine wildlife in the North Sea is something that ORCA and DFDS are doing really well, and the data that surveyors are gathering onboard is a valuable resource, combined with the ferry data gathered by MARINElife on other North Sea routes and the small-boat survey data from the North East Cetacean Project in Northumberland. 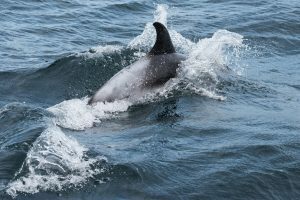 I’d been out on Friday carrying out survey work for the North East Cetacean Project, and the southerly wind had piled the sea up into a white-capped deep rolling swell. 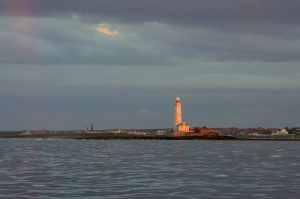 Sunday’s forecast was for similar, but Saturday looked as though we’d have a nice weather window 🙂 Heading north from the Tyne we had the wind and the swell behind us, so it was a fairly smooth journey. 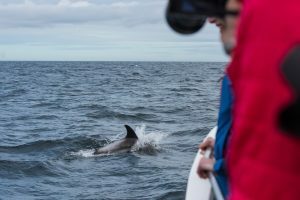 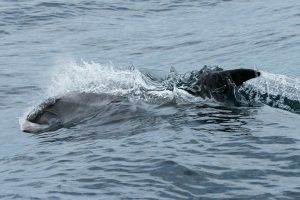 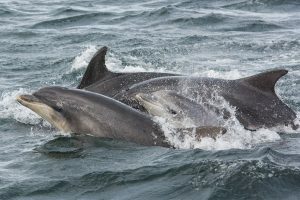 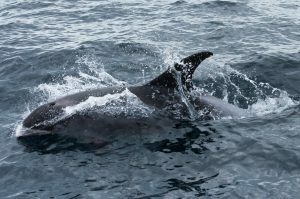 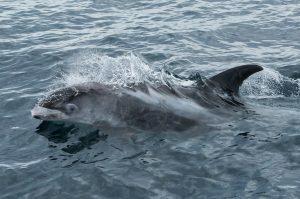 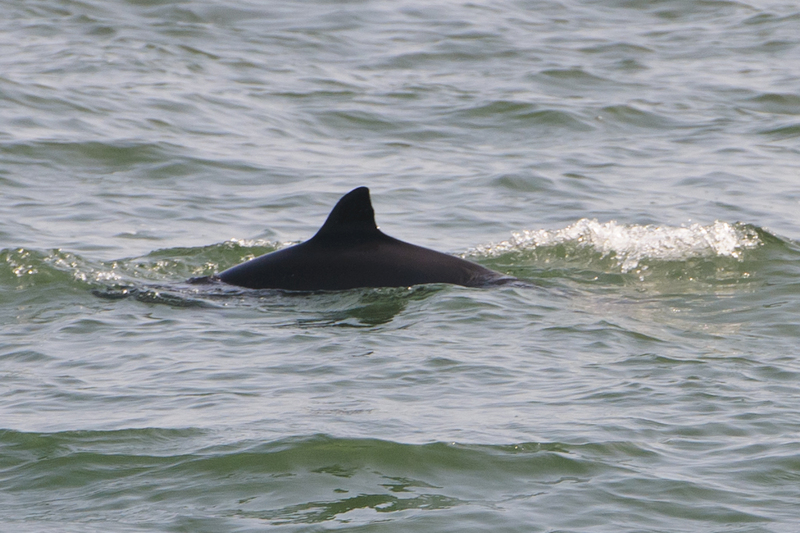 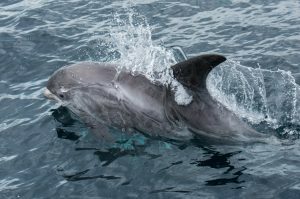 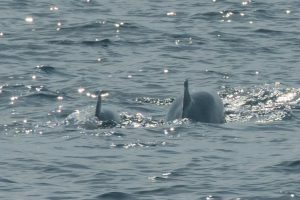 By the time we reached the edge of the Farne Deeps, having encountered our first group of White-beaked Dolphins along the way, that swell was up around 1.5-2m. 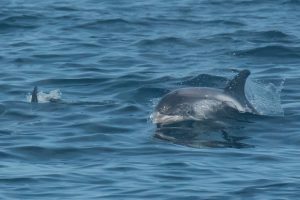 Then the dolphins started to appear – a group of 10 were joined by more and we’d soon got up to 25 White-beaked Dolphins around us 🙂 At one point we had 11 bow-riding between the hulls, packed together like sardines in a tin, and another ten alongside us. 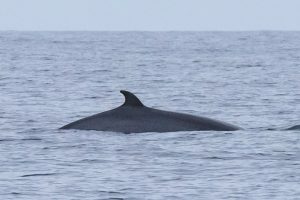 Eventually they stopped playing and gradually peeled off to return to feeding, just before Anthony spotted a Minke Whale ahead of us…which proved to be two Minkes, an adult and a juvenile. 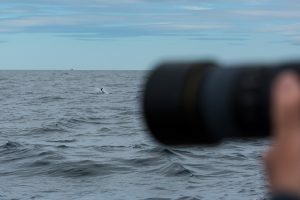 As we headed back south, with a Harbour Porpoise putting in a typically brief appearance in a flat, glassy calm, sea and odd Sooty Shearwaters added to the day total (which was around 50) Anthony asked me if I would scan the horizon out the east through my binoculars, as he’d seen what looked like very distant splashing. 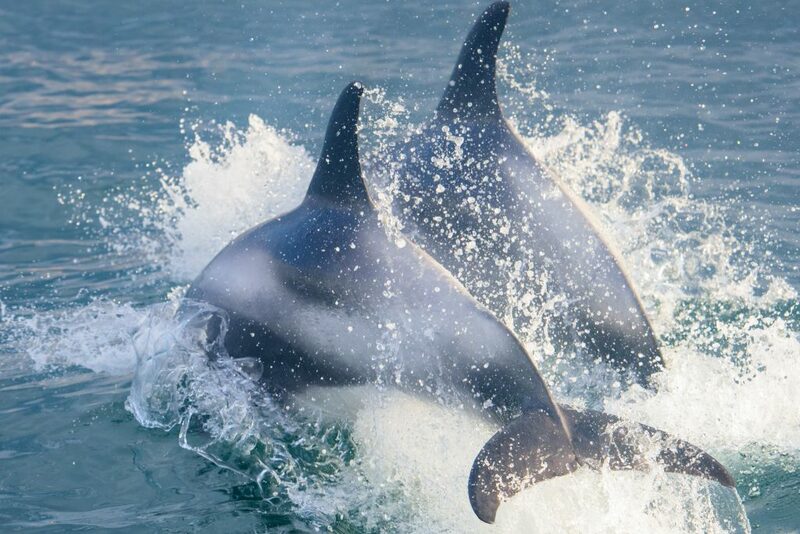 Sure enough, there were the splashes, which eventually resolved into a group of at least 30 White-beaked Dolphins and a memorable end to a stunning day. 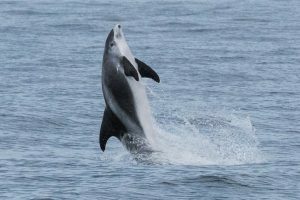 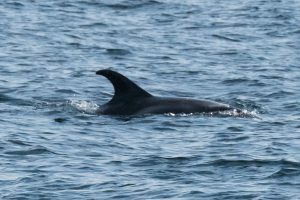 Friday was the latest of our 2016 pelagic trips from Royal Quays and, once we’d recovered the participant who’d inadvertently headed to the ferry terminal, we sailed north east from the Tyne. 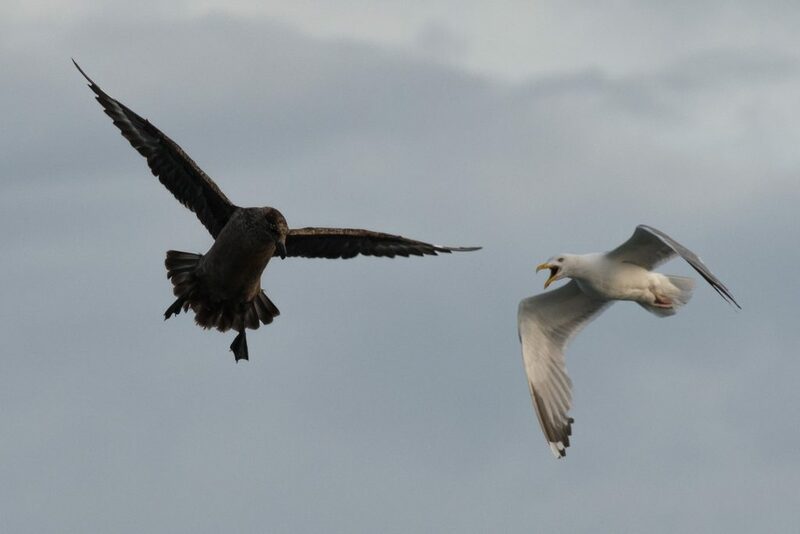 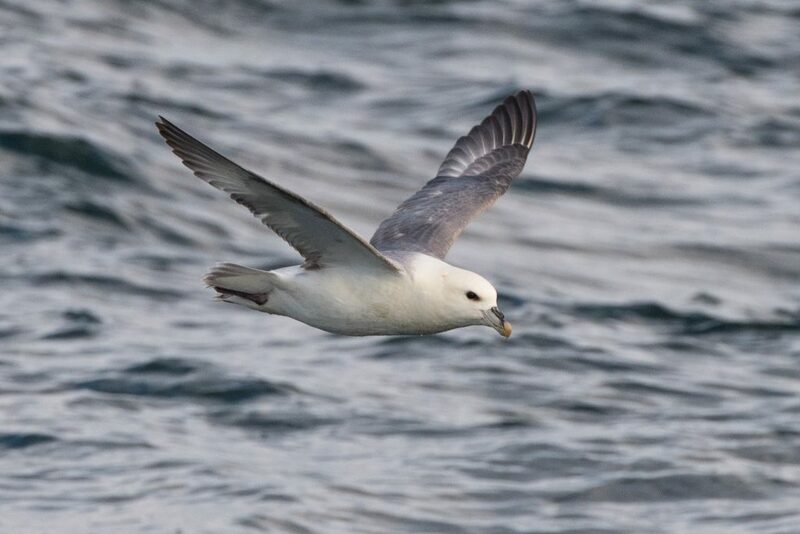 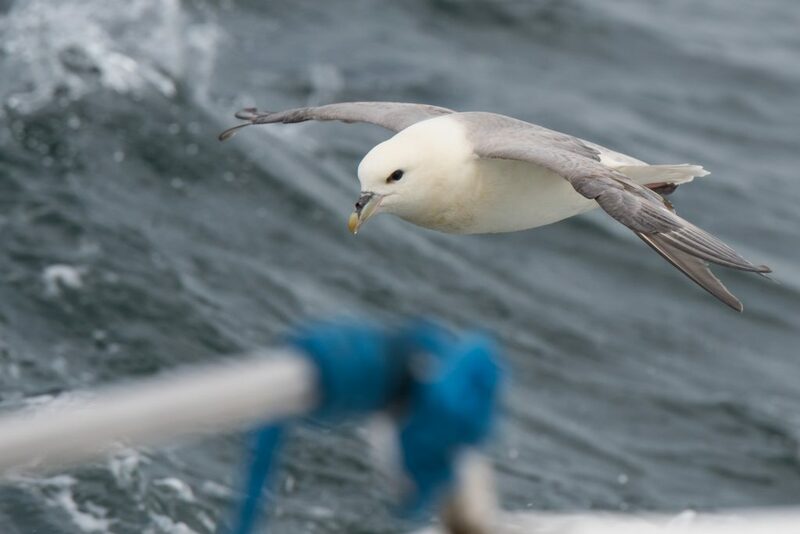 A few Sooty Shearwaters passed by and one was rafting with Guillemots, Fulmars soared effortlessly in the stiffening breeze and an Arctic Skua (a worryingly infrequent find on our pelagic tours over the last couple of years) was harassing Kittiwakes. 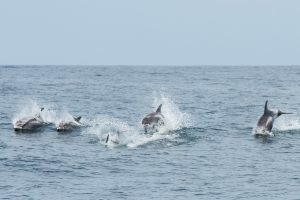 A feeding flock of Gannets revealed the location of our first White-beaked Dolphins of the day, unidentified (but obviously very large) cetaceans were breaching on the edge of the Farne Deeps and another small group of White-beaked Dolphins came alongside as the breeze, and swell, started building. 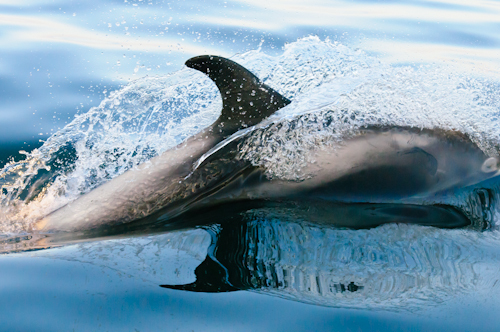 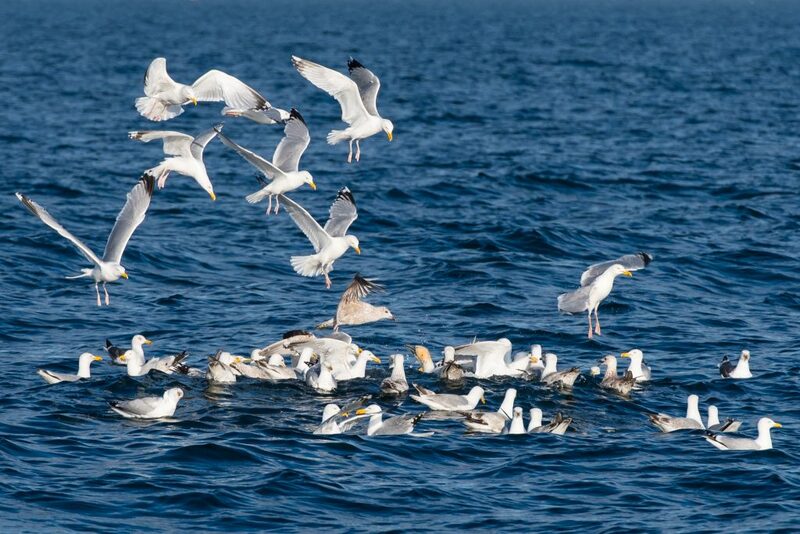 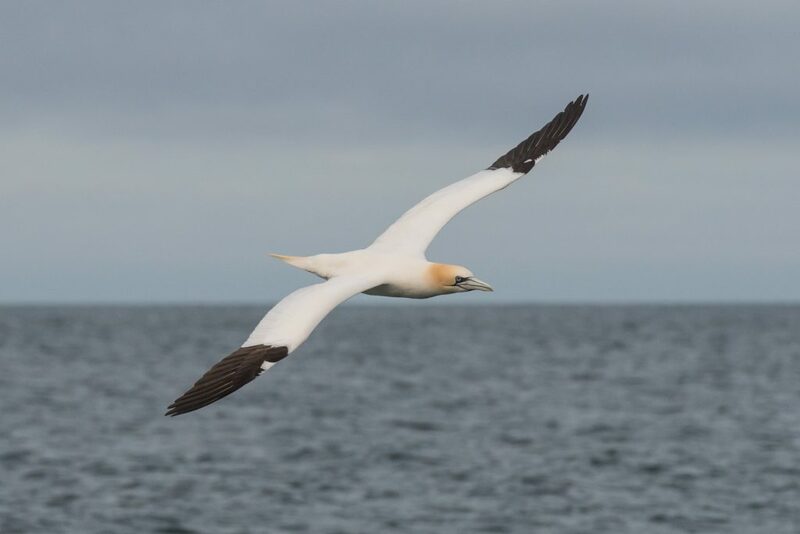 We’ve got very limited places available for our 10hr ‘Northumberland Ultimate Pelagic’ sailings on 2nd, 10th and 24th September, so give us a call on 01670 827465 to reserve your place before they’re all filled! 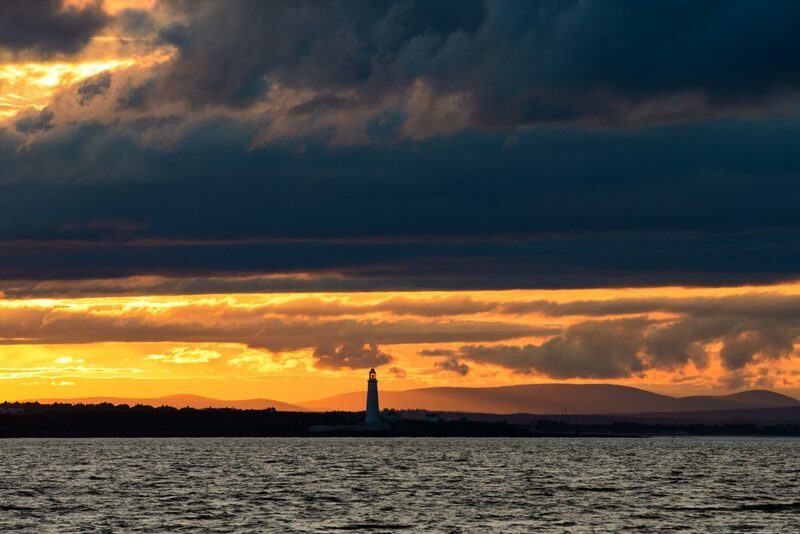 We’ve got a limited number of places still available on our 10hr sailings on Friday September 2nd, Saturday September 10th and Saturday September 24th. 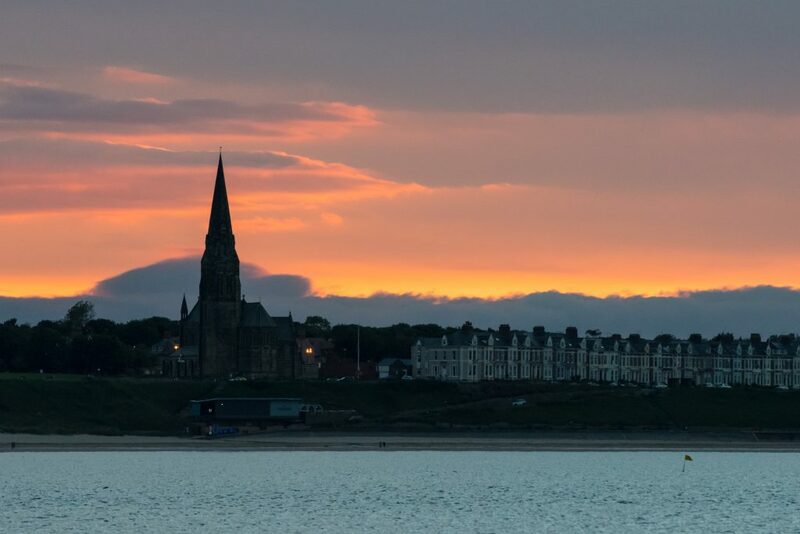 Give us a call on 01670 827465 to book your place before they’re all filled!